One of the most innovative and promising treatment options to pop up in the last few years is regenerative medicine (amniotic allograft, including stem cells). 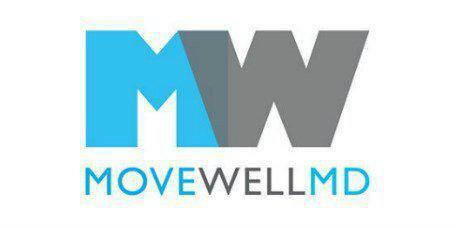 The professional healthcare staff at Move Well MD in lower Manhattan, New York and New York's financial district is proud to offer patients this revolutionary service that uses the body's own healing process to reduce pain and improve the quality of life. With the regenerative medicine, patients heal faster and more efficiently. Regenerative medicine is an exciting and revolutionary field of medicine. Regenerative medicine heals injuries by growing new healthy tissue with the potential to fully repair damaged tissues. There is a high success rate in healing bone, muscle, joint, soft tissue, and nerve injuries with regenerative medicine. Our therapies meet the needs of patients who still have pain after traditional treatments like physical therapy, rest, NSAIDs and pain management. At MWMD, we use an amniotic allograft (stem cells, hyaluronic acid, growth factor, and cytokines) which has the following advantages. Surgery is a very invasive procedure and you will take a long time to heal. Amniotic medicine is steroid free and doesn’t weaken joints or muscles that lead to progressive and harmful arthritic changes. Regenerative medicine is safe for unlimited uses but only requires one injection and gains are permanent rather than temporary. Stem cells are cells that haven't decide what they want to be just yet. They work like a cell template that is able to evolve into anything based on the needs of the body. For example, stem cells enter an area healing such as a cut and come together to create new tissue to close the wound. One series of stem cells might become skin while another transform into muscle because that injury requires both to heal properly. How effective is Regenerative Medicine? The results are different for each patient and each injury. regenerative medicine promote repair, so it won't help referred pain in the shoulder, for example. That is pain that comes from somewhere else; it is just felt in the joint. It works well to heal degenerated tissue like you might see with arthritis. The risks are minimal and the outcome is usually positive, especially when part of a comprehensive treatment plan that includes other services like physical therapy.